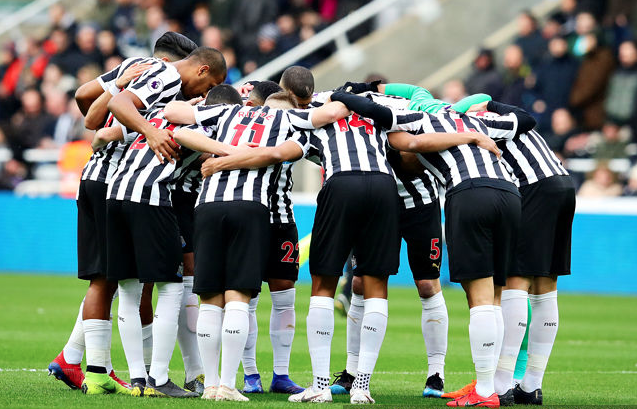 Is this the NUFC side that could be set to start vs Crystal Palace today? – NUFC blog – Newcastle United blog – NUFC Fixtures, News and Forum. If Hayden or Diame do pass late fitness tests I can see one of the two partnering Shelvey in midfield for this one. To clarify, I see Hayden starting over Diame IF he’s fit, but Mo was in training pictures just a few days ago while Hayden was nowhere to be seen, so have a feeling this game may come too soon for him. Jonjo didn’t feature at Arsenal on Monday – which was frustrating given our total lack of creativity – but Rafa’s confirmed that he’s now ‘ready’, hinting that he could come back into the side here. I’m not convinced Hayden will be risked, nor am I convinced by Ki on current form, so we could well see a familiar pairing of Shelvey and Diame – a duo worth looking at given both should be fighting for their futures at the club ahead of a potentially uncertain summer. With Schar back and Yedlin ‘touch and go’, it’s tough to say what this week’s back line will be. I expect the Schar to come back in given his ball playing style has been key to our success at St James’ Park lately, so it’ll be interesting to see what he does with Lascelles, Lejeune and Dummett. Could we see a return to four-man defence, seeing Dummett move back into a left-back role, or will Rafa stick to the three centre-backs system that’s worked wonders on home turf recently? I see him sticking, but it’s hard to know where Dummett fits if he plans to keep the Schar-Lascelles-Lejeune trio going, with Paul hardly being suited to an offensive wing-back role. To put it simply, if Schar’s fit he replaces one of Lascelles or Dummett for me, while Yedlin missing out would surely see Manquillo come in. On recent form Dummett deserves to be in ahead of Lascelles, but that would mean a three-man defence that hasn’t played together before – and I can’t see Benitez doing that against a dynamic Palace attack. Up top it’s hard to see anything other than the ‘three amigos’, but we’ll have to hope they’re all MUCH better than they were on Monday night, with Almiron flattering to deceive, Rondon looking sloppy and sluggish and Perez being frustratingly below his best. What side can you see Rafa going with at St James’ Park today? Whatever the formation I see Dummett playing. He’s been too consistent to leave out.